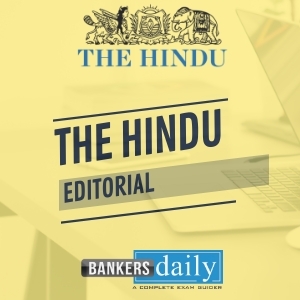 THE HINDU EDITORIAL – August 11, 2018 is one of the must read section for the competitive exams like IBPS RRB PO, IBPS RRB Office Assistant 2018, RBI Grade “B” 2018 & NIACL Assistant 2018. These topics are widely expected to be asked in the reading comprehension , Cloze Test or Error Detection topics in the forthcoming exams. So gear up your Exam preparation and learn new words daily. It was never going to be easy for the Bharatiya Janata Party to get a candidate of its choice elected as the Deputy Chairman of the Rajya Sabha. The ruling party and its allies fell short of a majority in the House. But what it lacked in numbers, the party made up intact and ploy. First, in choosing a member of the Janata Dal (United), a friend-turned-foe-turned-friend, as the candidate, the BJP sent out the signal that it was willing to be more accommodative to parties that support it. Second, in reaching out to the Biju Janata Dal in Odisha, a party seeking to maintain equidistance between the Congress and the BJP, Prime Minister Narendra Modi demonstrated a readiness to make peace without standing on prestige. Indeed, by proposing a JD(U) MP, Harivansh, for the post, the BJP found it easier to seek the support of other parties. Once the deal with the BJD was sealed, Congress candidate B.K. Hariprasad stood no chance. Mr. Hariprasad failed to win the support of MPs from parties such as the Peoples Democratic Party, which, though estranged from the BJP, is not keen on supporting the Congress. Whether the deal with the BJD will have significance beyond the election of the Deputy Chairman is not clear yet. With the BJP making rapid strides in Odisha, a BJP-BJD alliance is unlikely. However, it remains to be seen whether this influences floor coordination among Opposition parties during voting or while debating on policy issues. Until recently, the Opposition enjoyed the majority in the House and was able to stall legislation. This may change if the BJD sees a longer-term interest in coordinating with the BJP on specific issues. In retrospect, the Congress might have missed a trick in not making the effort to win over the BJD and the Aam Aadmi Party. Read together with the numbers from the recent no-confidence vote in the Lok Sabha, the one thing that this election confirms is that Opposition unity is still very much a work in progress. The BJP and the Congress may be the principal players at the national level, but they are nowhere close to being the two poles of the next Lok Sabha election. 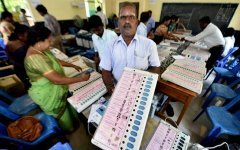 A few regional players such as the Telangana Rashtra Samithi, the Telugu Desam Party, and the BJD could well find themselves pitched against both the Congress and the BJP then. And if the Lok Sabha election results push the BJP’s National Democratic Alliance well ahead of a Congress-led United Progressive Alliance, there is no saying which formation these parties will support. Therefore, the Congress will need to beat back the BJP in States where the two parties are locked in a head-to-head contest; otherwise, it will be difficult for it to stitch together an effective and successful pre-poll or post-poll alliance. The attack on a bus in a crowded market in southern Yemen that killed at least 45 people, most of them children, is the latest atrocity in the military intervention led by Saudi Arabia that began over three years ago. During this period, Riyadh has paid little attention to growing international criticism of its use of excessive force in Yemen, which plunged the country, among the poorest in West Asia, into what the United Nations calls the world’s most severe humanitarian crisis. The bus attack comes a week after Saudi war planes targeted the port city Hodeida, which is already under siege, killing at least 28 people and wounding dozens more. Since Saudi Arabia launched air strikes on Yemen’s Shia Houthi rebels, who captured huge swathes of territory, including the capital Sanaa, the civilian toll has been particularly high. The Saudi-led coalition, backed by the U.S., targeted public infrastructure, killed thousands of civilians, displaced hundreds of thousands more and even laid siege to major cities, blocking food and aid supplies. With no functional government in place and the rebels fighting the Saudi invasion, Yemen’s 28 million people have been practically abandoned by the world. In recent years, the country has had an unprecedented cholera outbreak that killed over 2,000 people. The health-care system has collapsed, millions of people have been cut off from regular access to clean water, and more than eight million people threatened by acute hunger. Saudi Arabia has not been deterred by any of this. Nor has it come under any serious international pressure to halt its catastrophic campaign. Its response to the bus bombing has been callous: it said the attack was “a legitimate military action” and accused the rebels of using children as human shields. The Saudis say the Houthi rebels are backed by Iran, its regional rival; also, that its campaign has been on behalf of the internationally recognised government of Yemen. Curiously, Yemeni President Abdrabbuh Mansour Hadi is nowhere to be seen; he is reported to be under house arrest in Riyadh. The military campaign has been a failure from a strategic point of view as well. After more than three years of relentless bombing, the rebels are still entrenched in their areas of influence, including Sanaa. It is high time the international community paid serious attention to the voices of the battered Yemenis. The U.S. continues to support this disastrous aggression, with other leading global powers failing to do anything more than condemn rights violations. The plight of Yemenis will get progressively worse unless enough pressure is brought to bear upon Crown Prince Mohammed bin Salman, the de facto ruler of Saudi Arabia and the main architect of the Kingdom’s aggressive foreign policy. He should stop the war and push for a negotiated settlement between the Yemeni government and the rebels. Meaning: To fail to attain a specified amount, level, or degree. Meaning: Not damaged or impaired in any way; complete. Meaning: A cunning plan or action designed to turn a situation to one’s own advantage. Meaning: Used to emphasize a statement or response confirming something already suggested. Synonyms: As expected, to be sure. Meaning: (Of a person) no longer close or affectionate to someone; alienated. Meaning: A step or stage in progress towards an aim. Synonyms: Make progress, Make headway. Meaning: Argue about (a subject), especially in a formal manner. Meaning: A survey or review of a past course of events or period of time. Meaning: To make someone fight or compete against someone else. Meaning: To force (someone) to go back or to retreat by fighting. Meaning: A head-to-head contest or competition is one in which two people or groups compete directly against each other. Meaning: An extremely wicked or cruel act, typically one involving physical violence or injury. Synonyms: Act of barbarity, Act of brutality. Meaning: Interference by a state in another’s affairs. Meaning: Jump or dive quickly and energetically. Meaning: A military operation in which enemy forces surround a town or building, cutting off essential supplies, with the aim of compelling those inside to surrender. Meaning: Give financial, material, or moral support to. Meaning: Having been deserted or left. Meaning: A sudden occurrence of something unwelcome, such as war or disease. Meaning: (Of a structure) suddenly fall down or give way. Synonyms: Cave in, Fall in. Meaning: A point or level which is a designated limit of something. Meaning: (Of an unpleasant or unwelcome situation or phenomenon) present or experienced to a severe or intense degree. Meaning: Prevent the occurrence of. Meaning: Showing or having an insensitive and cruel disregard for others. Meaning: Able to be defended with logic or justification; valid. Meaning: (Of an attitude, habit, or belief) firmly established and difficult or unlikely to change; ingrained. Meaning: A dangerous, difficult, or otherwise unfortunate situation. Meaning: If something is borne in on/upon someone, they are made to understand it.